Mike is our guest on this week's podcast where he hinted that a future collab may be on the cards with the singer. 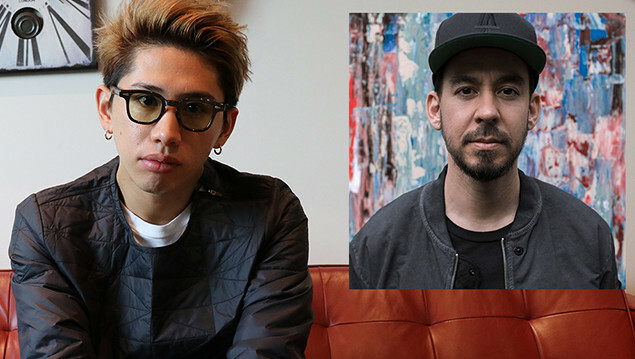 Mike Shinoda has talked about his recent performance with One Ok Rock lead singer Taka and hinted that a future collab may be on the cards. The pair got on stage together earlier this year in L.A. to perform a mash up of Fort Minor track 'Where'd You Go' and Linkin Park's 'Waiting For The End'. "I don't know. It remains to be seen. I know he's an incredible singer and a very sweet guy, by the way. Like, an awesome guy. I did see him the last time he came to L.A. So you know, things are still...we talk. We'll see. I don't have a song in my pocket that I can play to you (laughs)"
Fingers crossed they can find some time in the studio together soon. Mike also talked with us about the collabs with the likes of Blackbear which featured on his album 'Post Traumatic', how he adapts Linkin Park songs for his live shows and what to expect from his future music. Hear our full chat now on this week's Rock Sound Podcast, available now on iTunes, Spotify, Soundcloud and your favourite podcast app.